Video is a Perceptual Prosthetic lays out a scientific sense of video as it relates to human perception, exploring a medium that has the ability to literally provide us with a replay of our experiences as we are living them. The artist begins with an analysis of perception and its historical relevance to the evolution of video technology from analogue tape to HDV through to cybernetic technology. 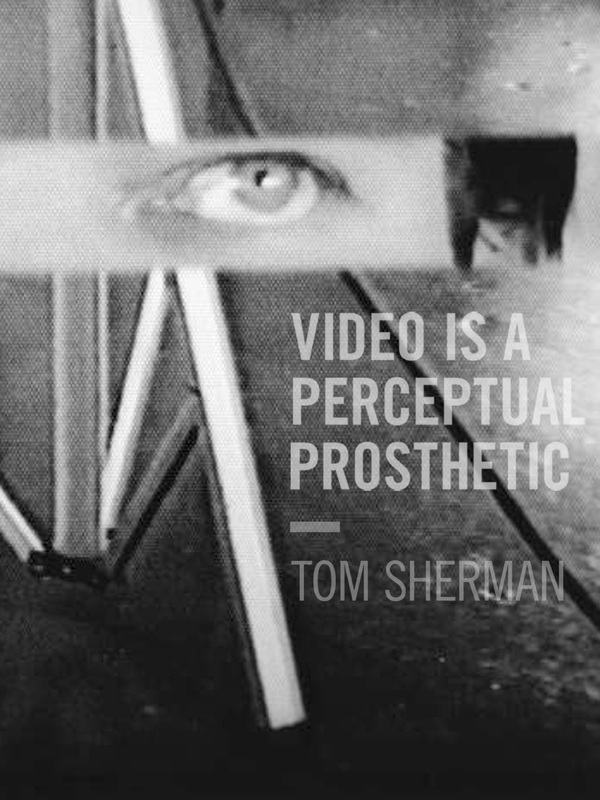 Sherman also analyzes the impact of video technology on other media technologies, in particular tracing the devolution of television, a topic explored throughout his writing over the years, such as his Video 2005: Three texts on video. Tom Sherman is an artist and writer. His interdisciplinary art has been exhibited internationally, including shows at the National Gallery of Canada, the Museum of Modern Art and the Venice Biennale. He received the Governor General’s Award in Visual and Media Arts in 2010. Sherman is a professor in the Department of Transmedia at Syracuse University in New York.